TONI&GUY YEOVIL opened in May 2005. A passionate and innovative team we pride ourselves on delivering the highest standards of customer service. Our dynamic team of Stylists have worked alongside the International Artistic Team at key events including London Fashion Week and The Clothes Show Live. Our creative technical team boast a wealth of experience and our Technical Director holds the prestigious L’Oreal Colour Specialist Degree qualification. 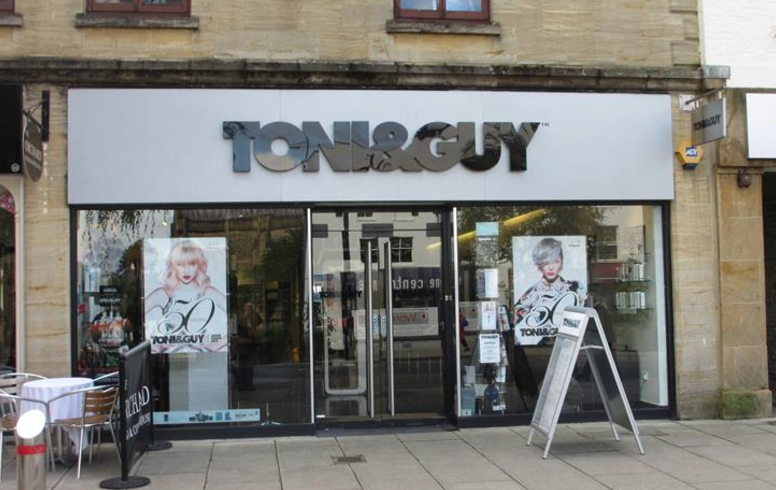 TONI&GUY Yeovil provide the ultimate ‘salon experience’ in a friendly, stylish environment. Our excellent team of highly skilled Stylists and Technicians, with their creativity, talent and enthusiasm that shines through to the client, providing them with great looking, wearable hairstyles, that is as individual as they are. We stock a wide range of products which now includes SERIOXYL, COLOUR WOW, L'OREAL SILVER SHAMPOO and LABEL.M. TONI&GUY Yeovil is closed on all bank holidays. TONI&GUY Yeovil offers free wi-fi for their customers. Our closest parking is in Tesco Extra car park for up to 2 1/2 hours, or the Quedam multi storey car park which closes at 7pm. I've been a frequent customer of this salon since 2007 and have kept coming back because of the exemplary level of service delivered. This visit was no different and Phill did an excellent job. All the staff at Yeovil have always been very polite and helpful in my experience and it's a pleasure to go there. Ricky is technically brilliant and a very friendly person. Great salon. I've been going to this salon for over 12 years. I've never had a bad appointment. I love the salon, the friendly staff and the atmosphere. Fantastic hair appointment, staff where lovely and left feeling great. Andrew totally understands how I like my hair, I have a short haircut and he is brilliant at cutting it into a lovely style. Thank heavens for Tony & Guy in Yeovil. I had my hair blow dried first appointment of the morning and it lasted all day. and Ricky if he's away. Kate and Kirsty colourmy hair. I enjoy my monthly visit so much so I book them a year in advance. I've been coming here now for prob 12 months or more every 4 weeks and you won't get any better than Georgia and all the staff are fantastic the service is impeccable. But to be honest someone needs to spend some money on this place as the ceilings are water stained and the showers they use are cold and out of date. It's just worn out. Typical landlords not looking after the property and expecting the tenant to pay !! As an ex hairdresser I have always gone to Toni and guy salons for my haircuts . Their training programme is in my opinion the best .i have had haircuts with Andrew ,Ricky and Kelly they are all brilliant . The staff are always Warm and welcoming .Not to mention receptionist Jo always Very friendly and efficient . When you look at what the other salons offer in Yeovil this salon offers brilliant haircuts colours and terrific value for money .